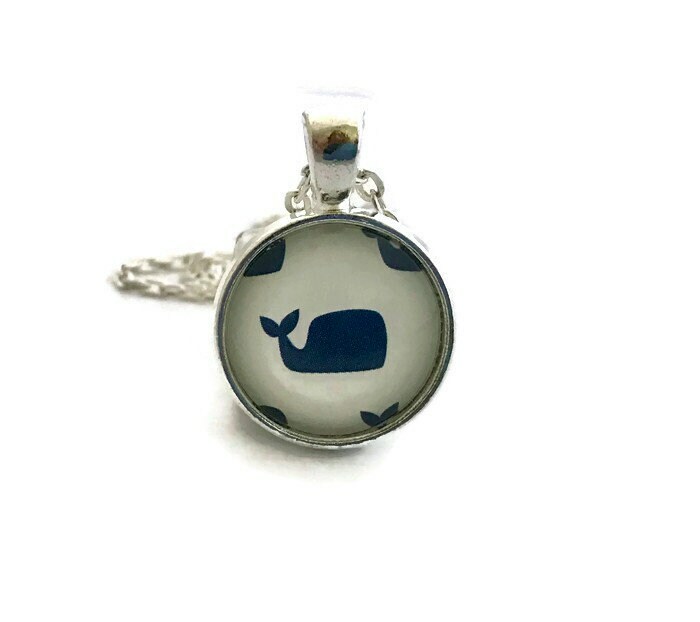 This whale necklace is made using the image of a blue whale on white background and a silver plated setting and chain. The paper is protected with a layer of resin and clear domed glass that slightly magnifies the image. It is contained in a setting measuring 20mm in diameter (approximately 3/4 "). The included necklace is 24" in length but can be shortened at your request. All necklaces come in a pretty organza bag, ready for gift giving (or to keep). All necklaces are lead and nickel free.